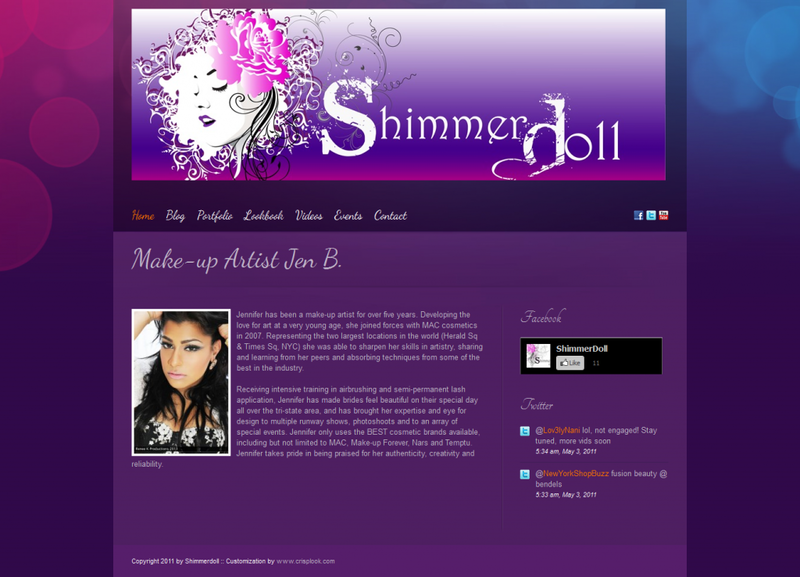 Jen B. works as a makeup artist in New York City. She asked me to customize her WordPress installation on www.shimmerdoll.com (but she now needs to have a few of her pages updated or redesigned after she made changes to her WordPress installation). Originally, I changed her fonts to cursive, using Google’s font library, added the menus and some of the content and images, and edited the header, sidebar and footer. I chose the WordPress plugins and set up the pages, including the contact forms and image galleries. Then I showed Jen B. how to add photos to her portfolio and lookbook galleries and to her blog and how to add YouTube videos to her videos page.